1. Diu, Daman & Diu. A quaint little island soaked with colonial Portuguese influence on the shores of virgin blue seas, Diu is a mishmash of Pondicherry’s small town charm and Goa’s sun-kissed beaches. 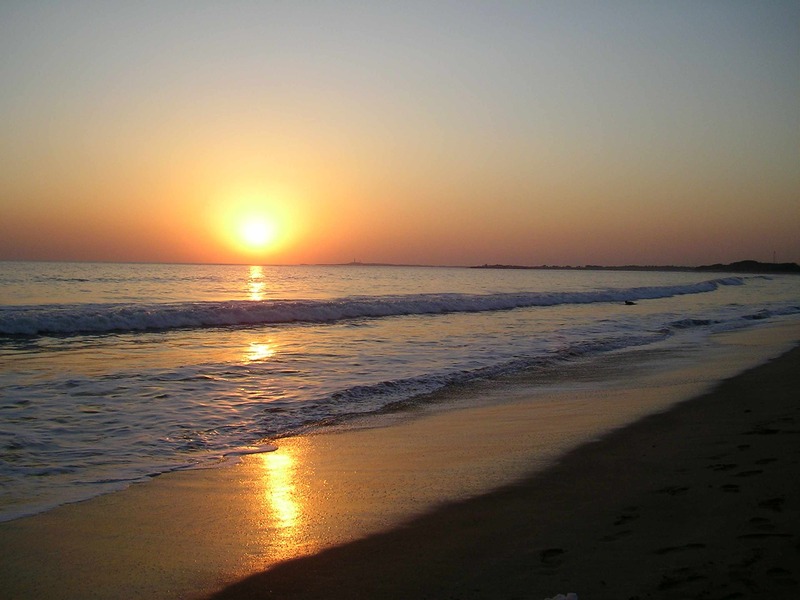 Its absence from most tourist maps makes it one of the few places in India where you can find an isolated beach and watch the sun sink to the horizon in solitude, or swim solo in the Arabian Sea. Diu’s designation as a union territory makes it a perfect budget getaway, being significantly cheaper than its cousins on India’s west coast. For a weekend trip to Diu from Delhi, fly to Ahmedabad on Friday evening & take an overnight bus to Diu (the video coaches are the best of the lot). Stay at Hoka Island Resort, a bohemian boutique hotel. The mighty Himalayas possessively protect the little valley of Shoghi from the crowds of Shimla; only those who search hard enough can find its picturesque countryside villages in the shadows of snow-clad peaks, often perched on the hillside or on the green stepped slopes that line the insides of the valley. A quiet recluse on the Himachali countryside, Shoghi’s proximity to the waters of the Sutlej is an additional treat. 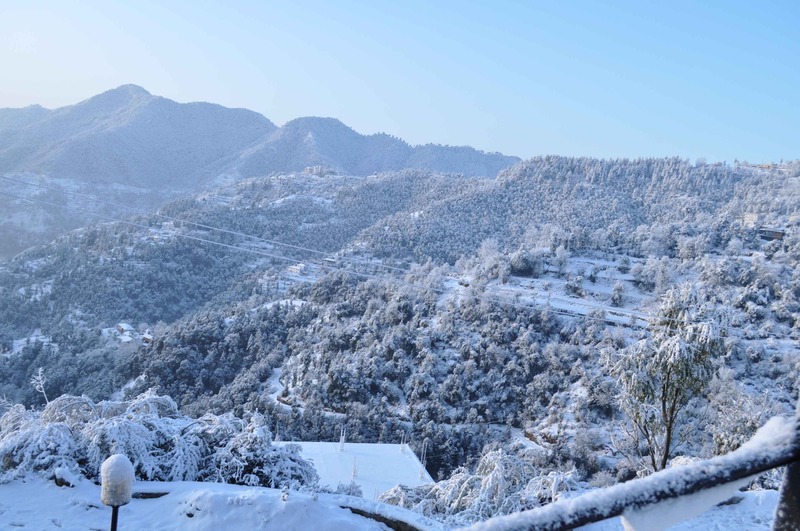 Shoghi is 12 km short of Shimla, and can be reached within 6-7 hours from Delhi by bus or car. Stay at Veer Garh, a majestic mansion perched on the hillside of Shoghi, run as a home-stay by an army wife. 3. 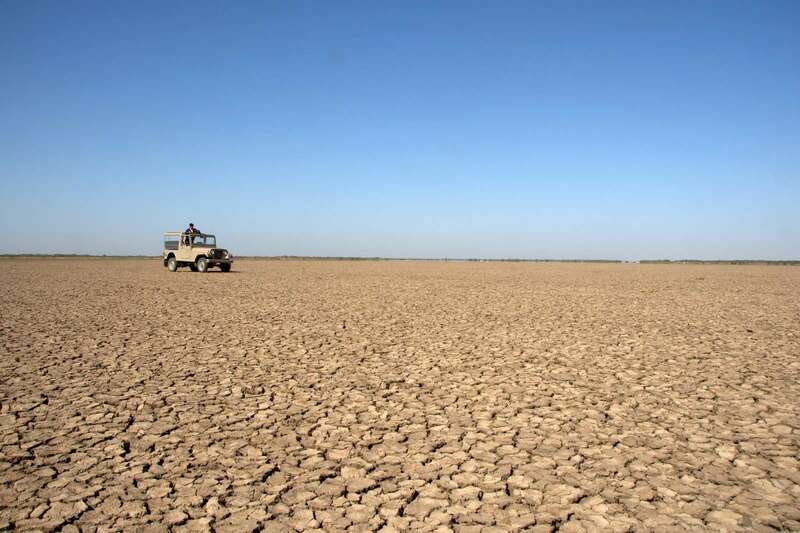 Little Rann of Kutch, Gujarat. Amitabh Bachan’s “Kutch nahin dekha toh kuch nahin dekha” (if you haven’t seen Kutch, you haven’t seen anything) campaign may have opened the Great Rann of Kutch to mass tourism, but the Little Rann remains a well-kept secret. Its magnificent white salt desert and abundance of rare wildlife make you appreciate nature on a whole new level, while its typically Kutchi villages offer a glimpse into the simple lives we often crave. The best way to reach Kutch from Delhi for a weekend is to fly to Ahmedabad (or ride an overnight train) and take a bus to your town of choice along the little Rann. Stay at Devji Bhai’s Koobas for a traditional Kutchi experience right at the doorstep of the Little Rann. If you’ve watched or heard of old Bollywood movies, a trip to Abohar is both surreal and nostalgic. The region is the country’s most fertile cotton belt and is decked all over with green fields dotted with white snow-like cotton. Cotton fields are often interspersed with acres of fruit farms; walking in their clearing along gurgling streams, plucking sour fruits & berries, and being pampered with unadulterated Punjabi hospitality is a soulful countryside experience that is rare to find in the citified version of our lives. Abohar is an overnight train / bus ride away from Delhi, and most of its villages & farms are located an hour into the countryside. Stay at Mohindra Fruit Farm, in the farm owner’s haveli that is now run as a homestay. In the shadow of the colossal Dhauladhar Range lies the village cluster of Raison, its fairy-tale Himachali villages exuding a colonial charm, its apple, kiwi & pomegranate plantations lending it the colour of spring, and the River Beas making constant music in the background. In winters, snow paints the village white, making life both introspective & beautiful. 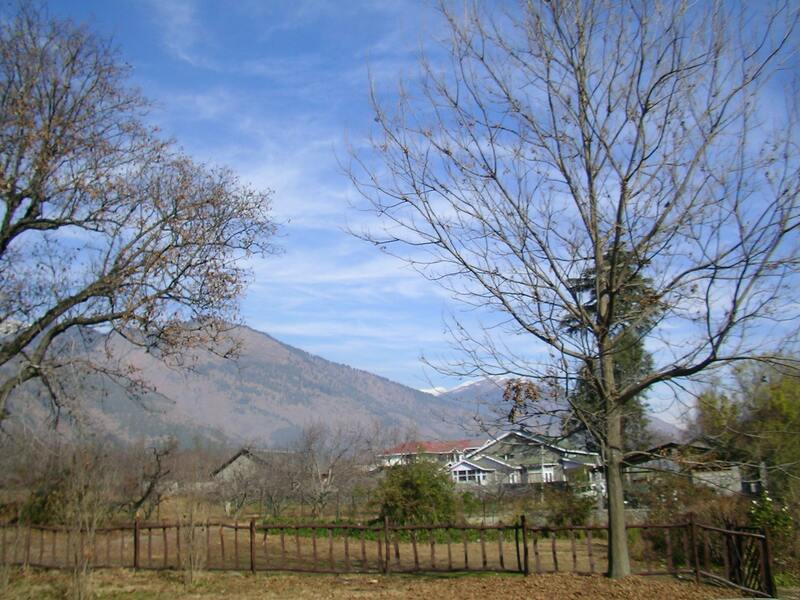 Raison is located off the Kullu-Manali highway, and is easiest to reach via an overnight Volvo bus from Delhi. Stay at Ramgarh Heritage Villa, a colonial British bungalow run as a homestay by the apple barons of the region. Follow The Shooting Star on Facebook & Twitter. Nothing in Madhya Pradesh? C’mon!?! Hey u got awesome sense of travel.. Even i happened to go to Abohar once on my last India trip… Awesome place . Better than Norway! If you happen to live in a small town of India than Delhi can also be one of the most romantic cities in India during the winter. Previous PostOf Royalty in The Himalayas. Next PostThe lady in red.